-ARL Family Lawn & Landscape is family-owned and operated right here in Kansas City, MO. Since our company opened its doors in 1997, we’ve treated every customer like they were a part of our family. Other companies may offer similar services, but our services are the best, and come with a personal touch, a member of our family will always be there taking care of yours. -​As a full service lawn care company we make it our mission and strive for customer satisfaction. We continue to evolve as a company, ensuring that with every season we maintain and acquire the best lawn care equipment in the industry to ensure your lawn looks its finest. -We have been providing exceptional, reliable residential and commercial lawn care since 1997. ​-Appropriately licensed and insured for the trade. 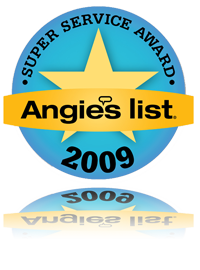 A winner of Angie's List Super Service Award!